A unique talent arrives in Bregenz to perform thought-provoking, evocative, original songs in a wonderfully intimate setting. 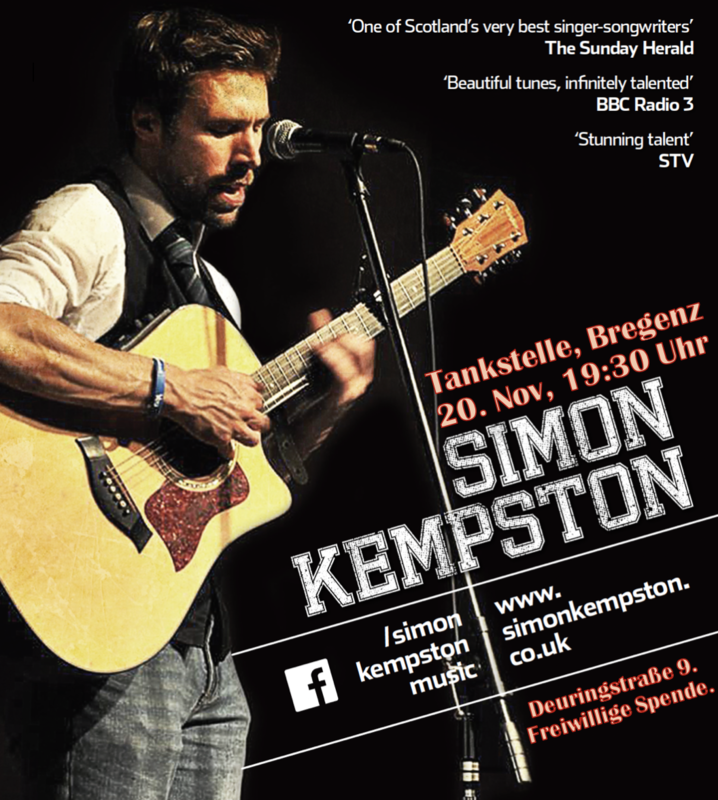 Simon Kempston’s beautifully crafted folk-tinged material showcases his incredible, distinctive and intricate fingerstyle guitar work – an exciting blend of the folk-baroque, blues and classical styles, and his gently nuanced, compelling tenor vocals. An inspiring, poetic lyricist, Simon’s live performances are intense and impassioned, the subject matter chiefly Scottish, yet with universal appeal. Not to be missed! ‚Beautiful tunes, infinitely talented‘ (BBC Radio 3). ‚One of Scotland’s very best singer-songwriters‘ (Sunday Herald).